What Do We Do, And Why Do We Do It? We are a team of passionate people whose goal is to improve everyone's life through simple disruptive products. We get our product inspirations by focusing on the chronic issues cities face today, from there we build great products to solve those real-world problems. Our products are designed for venues, festivals, and small to medium size cities willing to take a disruptive approach to becoming a smarter city. Archethought's focus today was born from a conversation. After approaching our first development partner, the City of Longmont, with our ground-breaking sensor platform and microlocation technology, a conversation took place where the city told us their real pain - noise complaints. From this, and our personal experiences at local festivals and music events, we realized that urban noise pollution is a very big deal. Listening to our hometown taught us that noise complaints are on the rise, and the costs associated with each and every noise complaint are unsustainable. It was evident something needed to be done to help them listen for, and manage noise complaints. For us, to add a microphone into our technology mix seemed so simple - to the venue, the sound engineer, the police and the resident it is amazing to be able to avoid noise complaints, and instead have a conversation. For us, value engineering is our systematic and organized approach to providing our customers the necessary functions within our solutions at the lowest cost. Value Engineering, ROI and VOI are part of our DNA. Each, a measure in their own right, together they are an integral part of every customer engagement, service and product we develop. We believe in, and are extremely passionate about a holistic Value on Investment approach. We understand that for any city, our solutions and insights can create a positive VOI and improve resident quality of life. 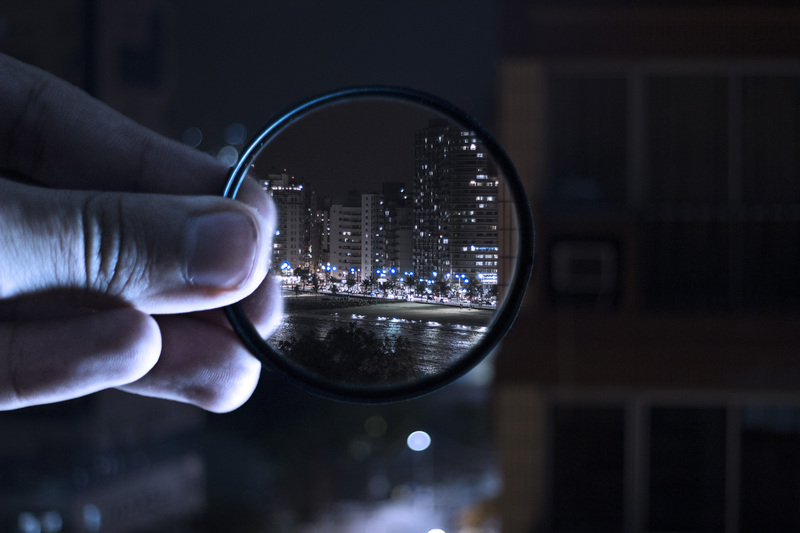 Smarter cities need better urban monitoring, for better decisions, and urban informatics, and we intend on delivering such solutions without placing demands on already strained resources. Archethought is an early stage startup with ground-breaking innovations focused on delivering technology in the urban informatics, microlocation, and global noise control markets. Incorporated 2016 in Longmont, Colorado by seasoned entrepreneurs, technologists and data scientists, Archethought Inc. is a Colorado Corporation with a mission to deliver simple, and effective products that will ultimately disrupt the nature of noise complaints, and in doing so reduce noise pollution. And in addition to noise monitoring, our universal sensing framework triangulates sound, records environmental data, and can analyze radio signal strengths, video streams, particulate matter, and gaseous emissions. We look forward to delivering exceptional value to our customers, our early investors, our team, and of course, the millions of residents out there looking for a little more peace and quiet in their neighborhoods. Founder and chief visionary, Dixon is the driving force behind Archethought. He loves to keep his hands full by participating in all aspects of solution development, marketing and the Customer Experience. Co-Founder and chief strategist, Darren is one of the iconic persons in life who can say he loves what he does. He mentors everyone in the company, looks after our community partners, customers and end-users, and helps chart the course of Archethought. Tom is an accomplished innovator, thought leader and strategy advisor with award winning accomplishments in Social impact programs for STEM, Resiliency, Sustainability, and Smarter Cities. An innovative and passionate startup leader, JOhn has worked for great brands such as BIC and Tesla. Focusing on the art as much as the science, he has a deep passion for quality, design, great products, and world-class user experiences that change, and enrich our lives. A seasoned technology leader, Brian has international experience from the trenches to strategic leadership, operations, technology, and global systems architecture. Having spent eleven years at Crocs, he helped the company achieve the $1B+ mark. Brian, with his international experience, has over 20 years business development and professional experience with clinical device, pharmaceutical and life sciences technology. To add color to his career, Brian also is an investor and consultant for Storyvine Inc.
Henry, with a diverse background has over 15 years experience in technology services, product management, and market development both domestically and globally. To add more diversity, Henry also has deep knowledge and experience with Lean and Agile methodologies. Monica, delivers a deep background of experience in technology services, product management, and market development both domestically and globally. To add more context, Monica has deep knowledge and experience with public safety services, agile and lean methodologies. Smarter cities need better urban monitoring, for better decisions. Contact us to learn about our urban monitoring solutions.